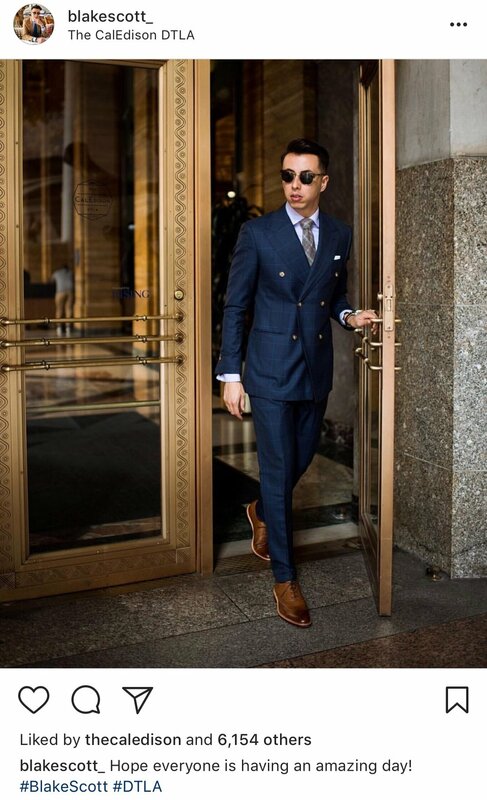 Building lobbies have historically been used solely as an entry from the outside and a means to get to the elevator and go straight up to the floor you need to get to. In recent years, developers began thoughtfully transforming lobbies into spaces that people actually utilize beyond just a passageway. Our mission at Rising is to create great places and, as part of that mission, we have given a whole new life to one of our historic projects, The CalEdison DTLA. A once stale (albeit beautiful) lobby is now infused with stylishly furnished seating areas, a security desk that is now in a less intrusive part of the lobby, the fastest public wi-fi in LA, a craft coffee shop and contemporary tunes to tie together the updated experience. We've transformed what was once merely a passing ground into what is now a space where people want to spend time — working on laptops, sipping small-batch brews from the resident coffee bar, Nossa Familia, and conversing with others who have intentionally made their way to the space. 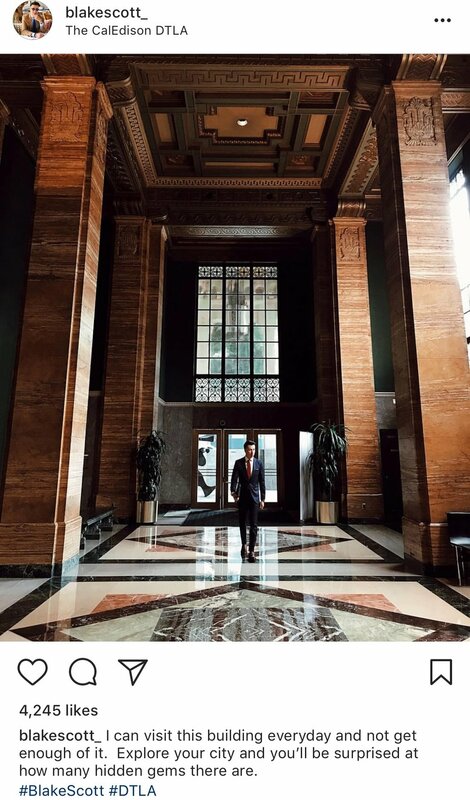 Structures like The CalEdison, built at the height of Art Deco architecture movement of the early 20th century, house a nearly endless number of thoughtful details and gorgeous artwork, much of which gets only glanced at from the average businessperson going about their workday in DTLA. Now these stunning works of art, specifically by Hugo Ballin, as well as the awe-inspiring architecture of fraternal design team Allison & Allison can be appreciated in full, thanks to the new linger-worthy spaces we've created. 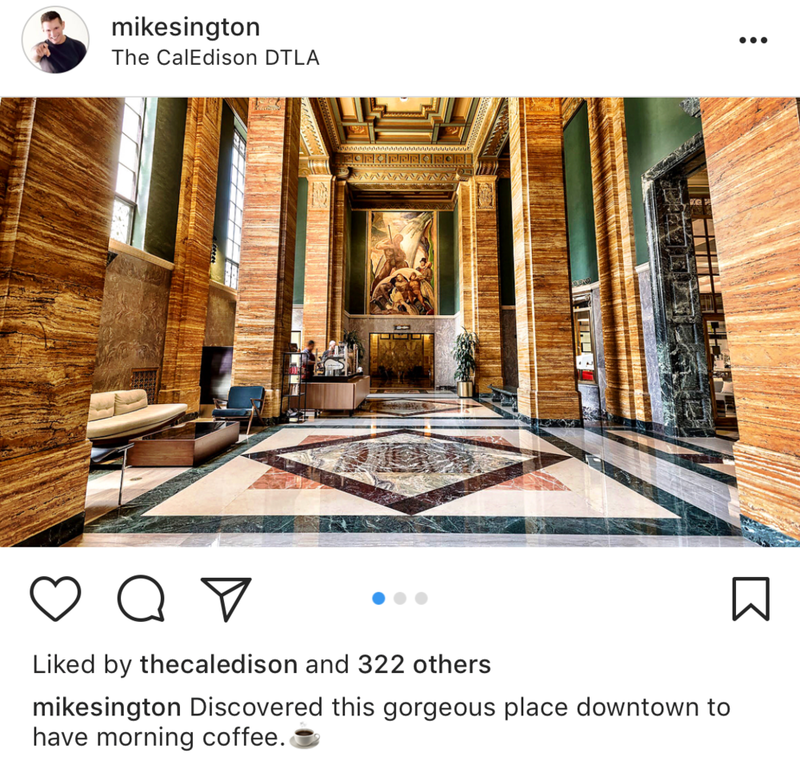 Social media has heightened the building's awareness and we now have social media personalities frequently coming into the lobby for photoshoots. Eater calls it the most gorgeous place to drink coffee in LA. 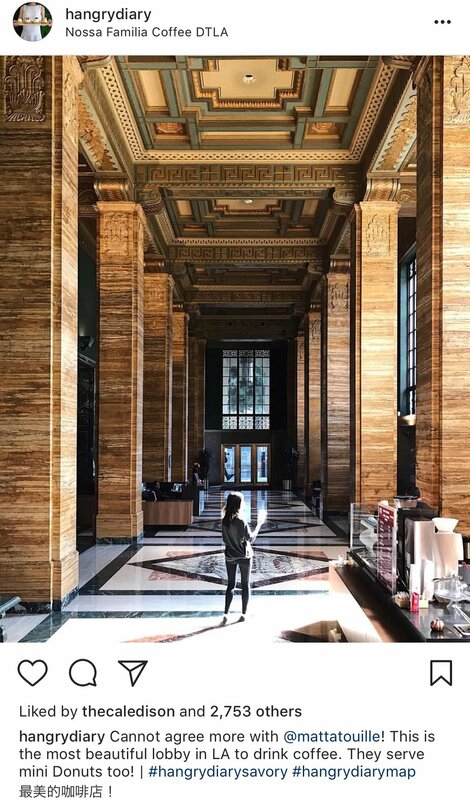 We believe that building spaces as breathtaking as the CalEdison lobby should not simply serve as an upstairs employee's means to an end; they should be valued and enjoyed for the historic treasures that they are.